Studies have estimated that regional nuclear war could lead to the deaths of some two billion people worldwide. With last week’s U.S.-North Korea summit in Hanoi, Congressional Democrats’ revolt against President Donald Trump’s state of emergency and Michael Cohen’s testimony before the House Oversight Committee; you may have missed the news that the Indian Air Force launched airstrikes against targets in Pakistan. This was quietly one of the dangerous crises of the post–Cold War era. On February 26, Indian fighter jets attacked a terrorist training camp operated by the Pakistani-based group Jaish-e-Mohammed (JeM), in the Pakistani province of Khyber Pakhtunkhwa. The attack was a reprisal for an earlier suicide bombing in Kashmir on February 14 that killed over forty Indian paramilitary police. The raid was the first instance since the Indo-Pakistani war of 1971 that either of the two powers have used airpower against the other. It also marked the first time in history that a nuclear weapons state has conducted airstrikes against another nuclear weapons power. There is a very good reason for that. Deploying air assets against another state signals a level of hostility that far exceeds cross border skirmishes. The ability of a state to field high-tech aircraft is often seen as a metric of sophistication, making air power a powerful symbol of national pride. It also worth noting that the Mirage 2000 jets used by the Indian Air Force in the raid are the same type of aircraft that deliver some of India’s airborne nuclear weapons. When a country is willing to go on the attack with tens of millions of dollars worth of airplanes and bombs, including aircraft that may or may not be carrying its nuclear weapons, it can trigger a spiral of escalation that can quickly get out of control. That spiral was quickly triggered. Pakistan responded to India’s air-assault with artillery strikes and conducted airstrikes of its own. Both sides lost aircraft, with Pakistan claiming to have shot down two Indian jets and captured one of the pilots, while India claims to have downed a Pakistani jet. Fortunately, the capture of the Indian pilot, Wing Commander Abhinandan Varthaman, was a positive turn in crisis, providing a human face to the standoff and ultimately leading to his release by Pakistan as a “ peace gesture ” that helped defuse tensions. This is extremely concerning. Just possessing nuclear weapons meant to be used against conventional forces, could lower the threshold for their use during a conflict. We know that this sort of thinking is misguided. Why? Because the United States once had a similar strategy. During the Cold War the United States stockpiled thousands of tactical nuclear weapons, including nuclear bazookas, landmines and artillery shells as a counter to Soviet conventional superiority in Europe. The plan was simple. If an army of Soviet tanks rolled through the Fulda Gap, we would would counter with small scale nuclear weapons. The theory went that by showing you were willing to use a small nuke, the enemy would consider that you might just be crazy enough to use your big ones too, causing them to back down. This strategy was unironically referred to as the Madman Theory. Unfortunately, under scrutiny, it turned out to be just that, mad. In 1955, the Department of Defense conducted a wargame called Carte Blanche in which more than three hundred simulated tactical nuclear weapons were used against Soviet targets on German soil with the aim of halting an advancing Soviet army. When the simulated dust settled, an estimated 1.7 million Germans had been killed, with 3.5 million wounded and incalculable number of additional casualties resulting from radiological fallout. When the results of the exercise were leaked to the press, they “produced widespread unrest and agitation” in West Germany over the proposed U.S. nuclear strategy. The Reagan administration tested the premise again in 1983 with the wargame Proud Prophet. This scenario saw NATO launch limited nuclear strikes against Soviet targets in response to a conventional provocation. But instead of backing down, the Soviet team doubled down. The lessons of these wargames apply to the Indian subcontinent as well. Recent studies have estimated that regional nuclear war, such as one between India and Pakistan, could lead to the deaths of some 2 billion people worldwide. To prevent this nightmare from becoming a reality, the international community must condemn further acts of violence and build space for the conflict to be mediated, before the situation escalates further out of hand. It is not without irony that as President Trump negotiates a nuclear agreement with North Korea, another nuclear crisis is unfolding out on the same continent. 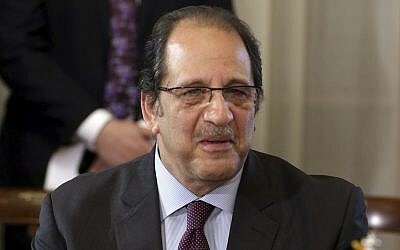 Under normal circumstances the United States would have already dispatched mediators to the region to defuse the crisis. As it stands, Washington has been painfully slow to respond. The current crisis is a symptom of a larger problem. The last five years have seen a dramatic increase in tensions between nuclear weapons states across the board. The U.S.-Russian relationship has soured to a point not seen since the Cold War, and a cornerstone of the international arms control regime, the Intermediate Nuclear Forces treaty, has been abandoned. Russia and NATO forces have engaged in direct hostilities in Syria, even leading to the downing of a Russian fighter-bomber. The number of confrontations between U.S. and Chinese assets in the South China Sea have reached an all-time high. Sooner or later our luck will run out and the unthinkable will happen. When nuclear weapons states made the decision to develop nuclear weapons they also assumed the responsibility to take every precaution to ensure that they are never used. It is time they took that obligation seriously. The nuclear weapons states of the world must take concrete steps to work together and breath new life into the arms control regime that has prevented the use of nuclear weapons for more than seventy years. An international agreement to limit the deployment of tactical nuclear weapons would be an excellent place to start. The world must respond with a resounding no. These types of crisis can never be allowed to escalate into a full-blown nuclear powers conflict. Geoff Wilson is a communications manager at Ploughshares Fund, a global security foundation. The views expressed are his own. Egyptian officials have reportedly sent Hamas a message from Israel that warned the terror group it is playing with fire by instigating a near-constant stream of attacks from Gaza during the Israeli election campaign. 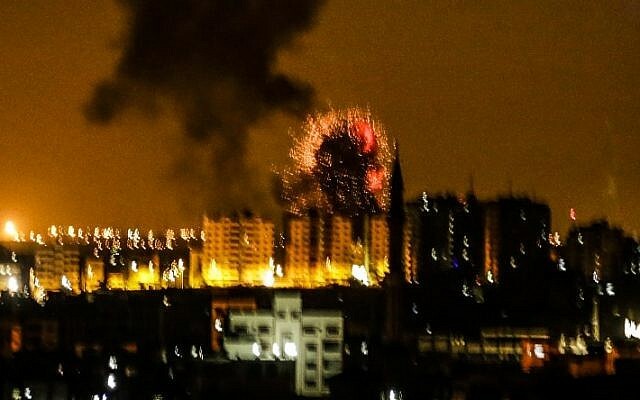 The warning, reported in the Lebanese Al-Akhbar newspaper, comes amid rising tensions along the Israel-Gaza border after balloons carried several explosive devices from Gaza into Israeli towns on Tuesday and Israeli jets launched retaliatory strikes against Hamas posts in the Strip. An Egyptian delegation traveled to the Gaza Strip on Tuesday to urge Hamas leaders to tamp down the attacks, warning that “creating tensions on the border by launching incendiary balloons will bring the IDF to launch a broad military confrontation in the Strip,” according to Al-Akhbar, which said it was citing a senior Hamas source. Abbas Kamel, the director of Egypt’s General Intelligence Directorate, who has served as mediator between Israel and Hamas in the past, is due to visit the Strip in the coming days to up the pressure on Hamas to avoid escalation. 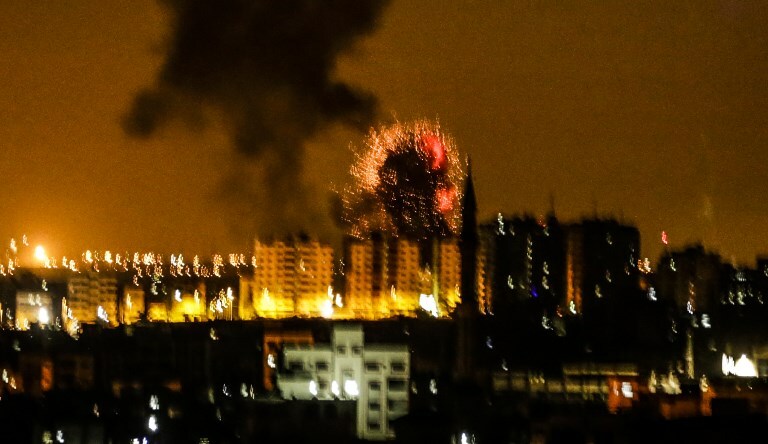 Hamas said in response that it was examining its own options for military escalation in response to the Israeli retaliatory strikes. There were no immediate reports of casualties in the Strip. The pro-Hamas al-Risala newspaper said an unmanned Israeli aircraft hit a site that belongs to “the Palestinian resistance” in Gaza. Earlier on Tuesday, two bombs tied to balloons were flown over the Gaza border and exploded inside communities in southern Israel. There were no injuries or damage. On Monday, three bombs exploded near communities and last week an explosive tied to a balloon damaged a home in the region. 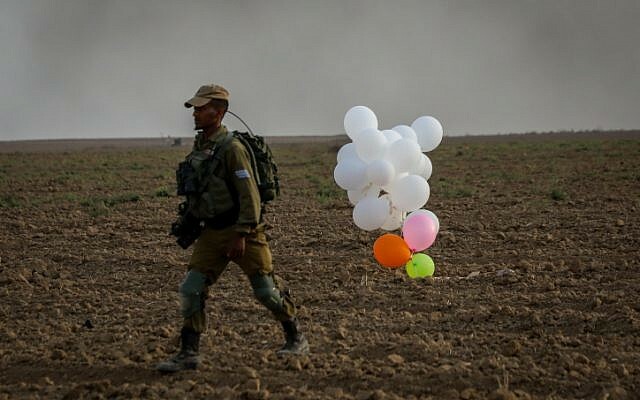 Israel has carried out five rounds of strikes in the last four days in response to the balloons. 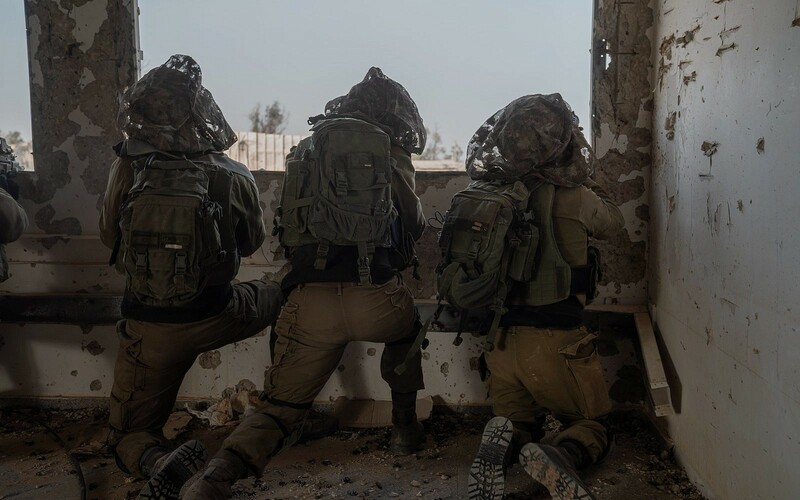 Recent weeks have seen a dramatic increase in the level of violence along the Gaza border, with near nightly riots and a return of airborne arson attacks, which had waned in light of a de facto ceasefire agreement between Israel and Hamas at the end of last year. In these nightly demonstrations, led by so-called “confusion units,” participants generally set off loud explosives, burn tires and throw rocks at Israeli troops on the other side of the security fence. The Israeli soldiers typically respond with tear gas and, in some cases, live fire. The border riots are part of the March of Return protests, which call for the right of Palestinians displaced in the 1948 Independence War to return to their homes and for an end to the Israeli-Egyptian blockade on the enclave. 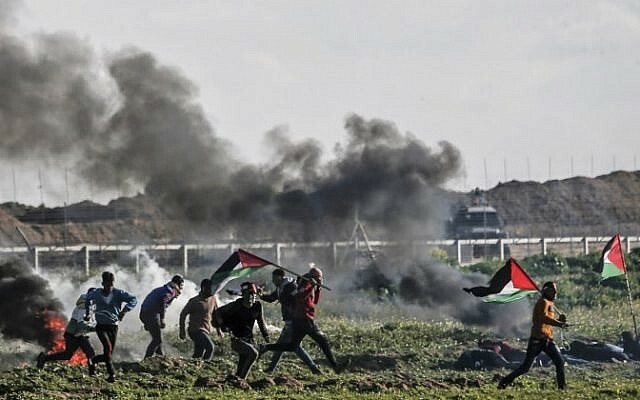 The protests have taken place weekly along the border since last March and have periodically escalated into major flare-ups between the Israeli military and Gaza-based terror groups. Israel has accused Hamas of orchestrating the clashes and using them as cover to breach the border fence and carry out attacks. The latest riots came after the release last week of a report commissioned by the UN Human Rights Council on Israel’s handling of the clashes that alleged there is evidence Israeli soldiers committed war crimes. The inquiry investigated possible violations from the start of the protests on March 30, 2018, through December 31.
International monitors reminded Saudi Arabia this week that it still has work to do before delving deeper into an ambitious nuclear program that could transform how the kingdom generates its energy. Riyadh’s nuclear program is developing “based on an old text” of safeguard rules, even as it expects to complete its first research reactor this year and plans to tap uranium reserves, according to IAEA Director General Yukiya Amano, who told journalists this week in Vienna that he’s “appealing to all countries to rescind” those old ways of doing business. Rising power consumption and desalination costs are pushing Saudi Arabia to look at nuclear energy. The world’s top crude exporter currently burns oil to generate most of its power and provide drinking water. Pivoting toward nuclear would reduce greenhouse gas emissions and free up more crude to sell on world markets. But the IAEA comments could strike a precautionary note among vendors lining up to service the kingdom’s nuclear ambitions. Receiving the imprimatur of IAEA inspectors, who account for gram-level quantities of nuclear material worldwide, is a precondition for receiving technologies and fuel. Without reaching a new understanding with monitors, Saudi plans for 3.2 gigawatts of atomic power by the end next decade could flounder. Saudi Arabia didn’t respond to emails and phone calls placed to its IAEA mission in the Austrian capital. In order to get its nuclear program on track, Saudi Arabia may need to look at the allowances made by its regional rivals in Iran, according to Robert Kelley, a U.S. nuclear engineer and former IAEA director. The Iran deal “is unprecedented in terms of previous monitoring regimes,” according to Kelley, who worked in the Department of Energy’s nuclear-weapons complex before overseeing inspections in countries including Libya, South Africa and Iraq. For Saudi Arabia, which threatened a year ago to develop nuclear weapons if Iran did, aligning its atomic rule book with current best practices may be the best option for it to accelerate its nuclear program.